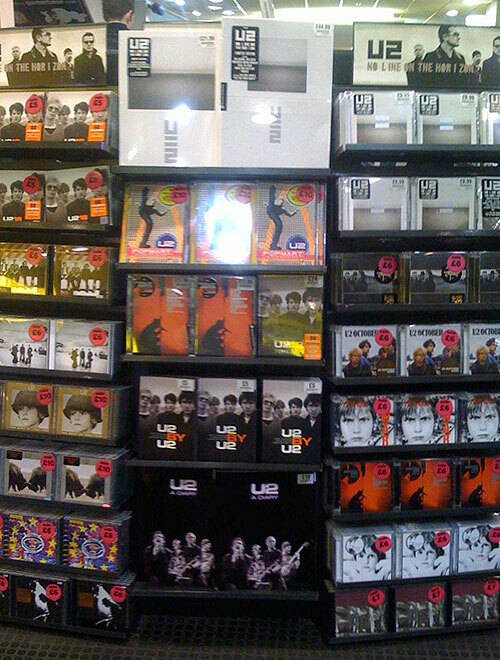 From Roars via Aaron comes this cool photo of the HMV store in Manchester (UK), where U2 – A Diary has been chosen to be part of a big wall of U2 goodies to promote the new album. 1. How cool to see the book featured like that underneath and surrounded by nothing but official releases?! Awesome. 2. Unrelated: I haven’t seen a U2 display like that at any retail store in forever. 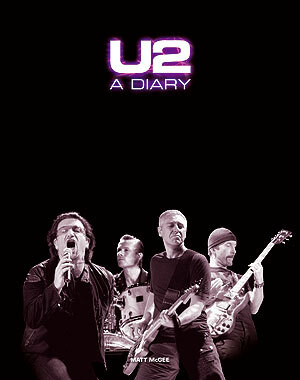 Are there any U.S. retailers that have that many U2 CDS and DVDs in stock and on shelves?